Snowstorms and late nights at the office have me searching for winter comforts like herbal tea, down-filled blankets and warm, satisfying food. This is the season for braising and one of my favorite dishes comes from Molly at Orangette (adapted from Molly Stevens). 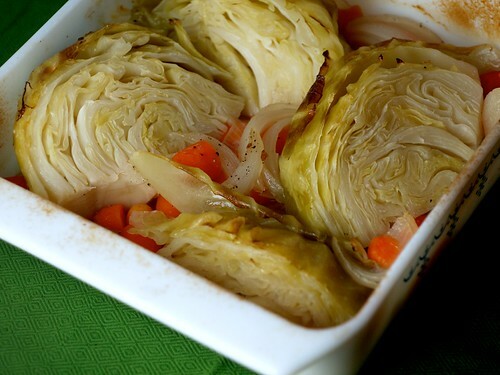 Not only is this recipe inexpensive and simple to prepare, but it elevates the lowly cabbage to something silky and elegant. I'd highly recommend it if you too are in need of a winter warm-up. 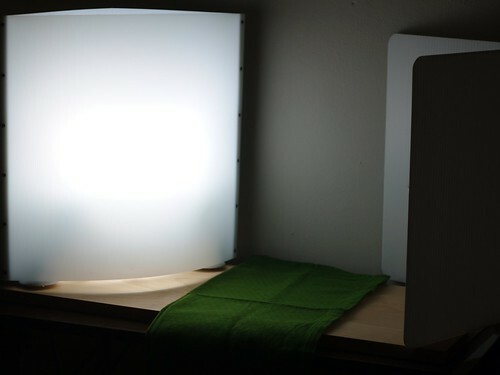 I was thrilled to learn recently that I had won a Lowel Ego light set through the Menu for Hope raffle! I took the first photo in this post at 9:30 pm on a dark, blustery Chicago evening. These lights make a huge difference for evening food photography and I can't wait to experiment with them more. Thanks to Kalyn of Kalyn's Kitchen for contributing such a generous raffle prize and to Pim of Chez Pim for hosting the sixth annual Menu for Hope. This year, the event raised nearly $79,000 for the UN World Food Program!